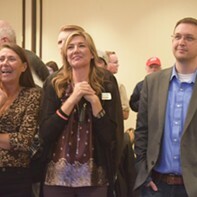 Breaking dow the ballot initiative that could lead to medical cannabis it Utah. Doc started smoking marijuana when he was 13 years old, around when a physician diagnosed him with attention deficit hyperactivity disorder. "It works better than that man-made 'speed,' or 'Ritalin,' as they call it," he says of the amphetamine commonly used to treat his condition. Years later, cannabis has helped him manage Crohn's disease, a chronic, inflammatory bowel illness. He says cannabis also lowers his pain level, a constant concern since last year, when an SUV launched him into the air after hitting his motorcycle. "I'm not going to say it's magical and I can't feel nothing, because, yeah, I can still feel pain," he says. But it helps—and in his mind it's safer than pain pills. Almost 39 years old, Doc, a Salt Lake City resident who declined to give his full name, has been using cannabis for medicinal purposes for so long that he knows how different delivery systems provide different forms of relief. Edibles and concentrates provide more body relief, he says, while smoking manages digestive problems. "I meditate and medicate," Doc says, summarizing the sui generis treatment plan. Voters will decide in November whether to legalize some forms of Doc's preferred brand of medicine. If passed, Utah Proposition 2 would legalize medical cannabis for people who have certain qualifying illnesses including Crohn's, autism and post-traumatic stress disorder. Patients suffering from chronic pain also could be eligible if a physician determines they're at risk of addiction or overdose from opiate medications. The initiative comes with a set of caveats. Patients would not be allowed to use cannabis products in public, barring a medical emergency. Also, dispensaries—facilities that prepare and sell medical cannabis—would not be allowed to sell cannabis in cigarette form, meaning patients could ingest it through delivery systems other than smoking—like lotions or balms. Dispensaries would sell to card-holding patients, who would be authorized to buy a certain amount over a two-week period. 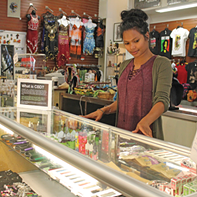 The number of dispensaries in an area would be based on how many people live there—in Salt Lake County, that would be eight dispensaries, based on a 2017 population estimate by the U.S. Census Bureau. After Jan. 1, 2021, if a dispensary isn't within 100 miles of a patient's home, individuals would be able to grow up to six cannabis plants for personal, medical use. 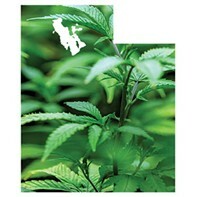 If Prop 2 is approved, Utah would join the 30 other states that have legalized medical cannabis. The initiative is much broader than the "right to try" bill signed by Gov. 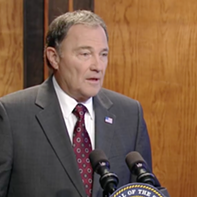 Gary Herbert in March, which gives terminally ill patients with less than six months to live the option of using medical cannabis for relief. "We may end up having two concurrent programs," Jack Wilbur, information and social marketing specialist for the Utah Department of Agriculture and Food, says, referring to the potential broader medical cannabis program and the rules UDAF is still writing for the narrow medical cannabis bill passed during the last legislative session. Lawmakers—or voters, through another ballot initiative— might have to find a legislative fix for the two simultaneously running programs, Wilbur notes. UDAF does not have an official position on Prop 2, Wilbur says, but if it passes, "We believe it will add some work to our plate and slow things down." Herbert has said he's against Prop 2 because he feels it has too many loopholes and could lead to recreational marijuana, given that some individuals could grow their own plants if they live far enough away from a dispensary. That, Herbert said during a recent monthly news briefing, means the state could "lose control." Drug Safe Utah filed a lawsuit earlier in the year in an attempt to keep the proposition off the ballot, arguing that possessing marijuana is a crime because it's still illegal under federal law. The group dropped the lawsuit in early July, but KUER 90.1 FM reports the nonprofit could still sue in the fall should voters pass the initiative. 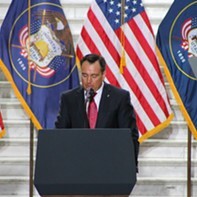 Also among the opposition are The Church of Jesus Christ of Latter-day Saints and the Utah Medical Association. "... This initiative is not about medicine. Supporters have used images and stories of suffering patients to disguise their true aim: opening another market for their products and paving the way for recreational use of marijuana in Utah," a statement on the UMA website says. Alex Iorg, campaign manager with the Utah Patients Coalition, the group leading the ballot initiative, calls Prop 2 "one of the most conservative medical bills that has ever been proposed in the nation. "Utah doesn't want recreational marijuana. The Utah Patients Coalition ... we don't want recreational marijuana," Iorg says. "This was tailored for a conservative state, with Utah in mind." Iorg says it's immoral to criminalize suffering patients who turn to medical cannabis. Conversations about treating debilitating illnesses, he adds, should be between doctors and their patients. qué pasa? You know, here's your doobie for the day and you'll feel better.'" Shifting gears, in April 2018 he said, "If marijuana can be used for medicine and alleviate pain and suffering, we've got to all be behind it," provided it's treated as a medicine, though he said he was uncomfortable because marijuana still is illegal under federal law. The following month, Herbert said ballot initiatives are a bad way to write laws, but he's open to having a conversation about medical cannabis. "Let's have the debate," he declared. Doc says he helped gather signatures to get the initiative on the ballot, underscoring how important the medical cannabis program could be for people like him—those who are chronically sick or in pain. He's hoping it passes—a recent poll indicates two of every three voters in the state share his mindset—but he knows it's not a sure thing. "There's too many church folk in the government here who don't want to see it pass," he says. "Because these people grew up on marijuana madness, they're scared their kids are gonna grow up and participate," the father of five continues. Although he gets around with a cane, Doc says cannabis helps him stand and allows him to be more present in the time he spends with his family. "I don't smoke around my kids or anything like that," he says. "My kids know that cannabis is medicine."